The Premier League continues this weekend with Gameweek 4 and it’s the last one before a two-week International break. In this week’s edition of “FST vs”, our very own Dean Goddard goes up against Racing Post’s football experts Dan Childs as they go in-depth on their predictions for Matchday 4 of the 2018/19 Premier League season. Is this the week Liverpool finally concede their first goal of the season? How will Pep Guardiola’s men respond after dropping valuable points at Wolves last weekend? Arsenal look to collect their first points on the road this season. And could a potential defeat at Burnley cost Jose Mourinho his job? All that and more in our Video preview! Categories: Football, Premier League, and Video. 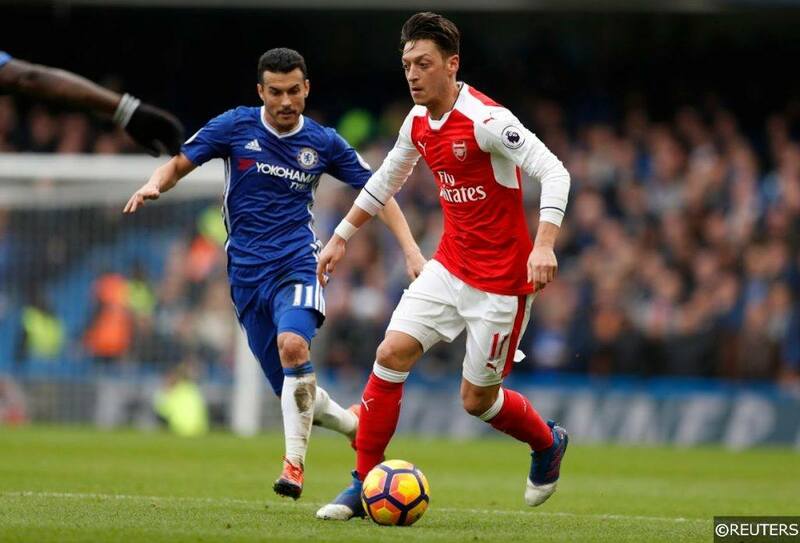 Tags: betting tips, English Premier League, premier league predictions, and premier league preview. Team Tag: arsenal, brighton, Cardiff City, Chelsea, Liverpool, manchester city, manchester united, Newcastle United, Tottenham Hotspurs, watford, and wolves. League: England Premier League. Sports: Football.